At noon today, USDA released the 2017 Planting Intentions Survey Results. 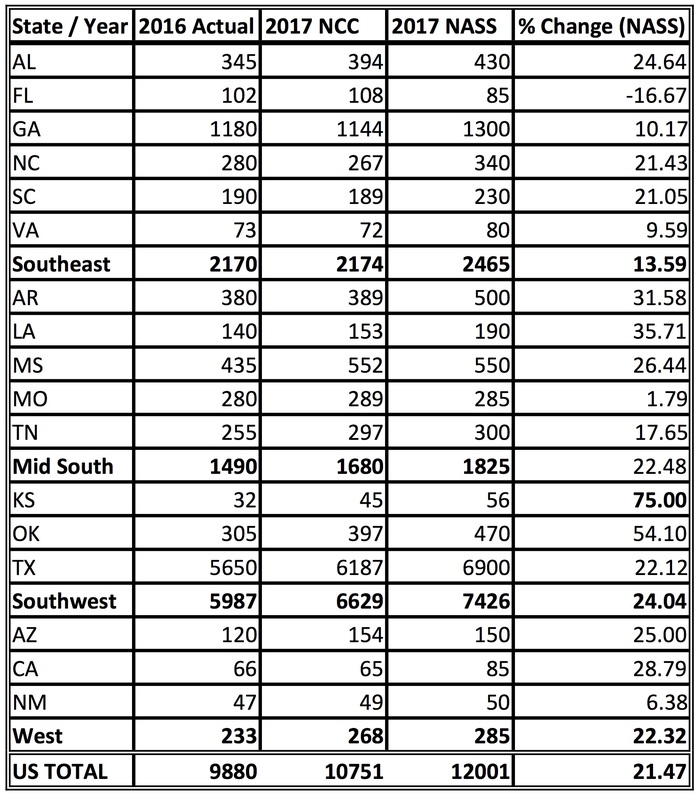 The short story is that the Southeast shows 2.465 Million acres, UP 13.5% over last year. This is a significant increase from the NCC’s survey results of the Southeast 2.173 Million acres or up .1% from 2016. The Planted Acres report comes out in June and that will be the proof we will be looking for but suffice it to say, the difference in market conditions between the Council’s survey period and USDA is substantial and can explain a lot. Things can change a lot between now and when the seed is in the ground so stay Tuned.